PLEASE BE AWARE THAT THE SELLER HAS ACCEPTED AN OFFER PENDING INSPECTION. ALL ADDITIONAL OFFERS WILL BE HELD AS BACK UP. 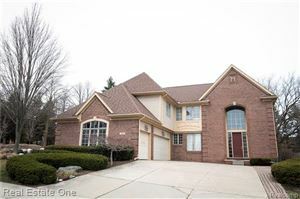 Beautiful 3 bedroom ranch located in Rochester Hills! The family room features vaulted cathedral ceilings and a natural fireplace. This home also features two full baths and a full finished basement. Large backyard and deck with built in seating are perfect for entertaining! Come see this home today!